WEDDING ANNOUNCEMENT - Hand beveled champagne foil edge triple thick ivory linen card with exclusive champagne ink raised letter printing presents the ultimate in taste. Foiled edge available in gold, silver and rose-gold. 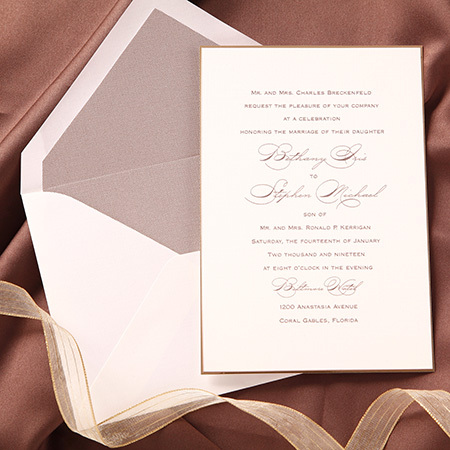 Invitation is available in many sizes and thicknesses.